Firefighters are exposed to toxicants during fire suppression. Smoke deposits and particle residue from fire suppression accumulate on firefighters’ turnout gear, potentially exposing them to carcinogens and related adverse effects such as cancer. Previous studies have found that firefighters in small, rural fire departments tend to store their turnout gear in vehicles, given the broad response areas and limited number of firefighters. However, the scientific literature has little information regarding residual polycyclic aromatic hydrocarbons (PAHs) and asbestiform fibers in vehicles, which present a potential danger for dermal and inhalation exposure. A total of 29 wipe samples were collected from various surfaces in vehicles used to travel to fire sites (n = 10 for fire trucks [FT], n = 19 for personal vehicles [PV]). A polyester fabric wipe (100 cm2) saturated with 70% isopropyl alcohol was applied for each sample. Fifteen different PAHs were quantified using Environmental Protection Agency method 8270D. Eight of the 15 PAHs, which were detected with lower censored data, were considered for further data analysis. These eight were Naphthalene, Naphthalenemethyl, Phenanthrene, Anthracene, Fluoranthene, Pyrene, Benz[a]anthracene, and Chrysene. ANOVA of log-transformed concentrations indicated no statistically significant differences between FT and PV (p value > 0.05). However, the level of remaining PAHs in FT was higher than in PV. Using the administered survey, the results of a regression model showed that PAH levels in the vehicles were significantly influenced by container usage (p values < 0.05). Our analyses demonstrated the importance of safe work practices when turnout gear is stored in a vehicle. 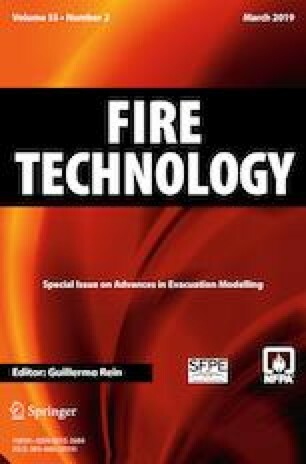 The knowledge gained through this study will provide firefighters in small, rural fire departments with information critical for implementing needed guidelines on turnout gear storage practices. We thank the firefighters who participated in this pilot study. We also are grateful to the Green River Firefighter Association for assistance in implementing the study. We would like to acknowledge the Western Kentucky University (WKU) graduate students for their assistance during the field studies and data compilations. This study was supported by the WKU Research and Creative Activities Program #17-8001.